Our workout of the week series delves into the newest fitness trends, classes and technologies and explores the latest wellness movements to help you get ship shape for your next superyacht vacation. This week Elizabeth Finney goes for the tried and tested with a Pilates class at the Bhuti wellness retreat. 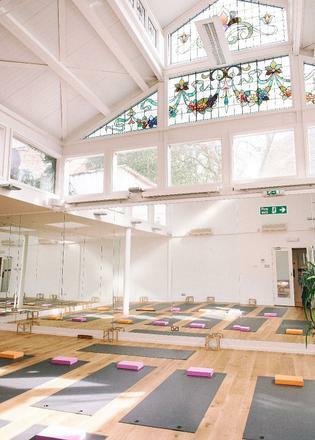 The basics: If you’re after some serious but gentle muscle training but lack the flexibility (or mindset) for yoga, opt for a one-to-one mat Pilates session at the Bhuti wellness retreat at the heart of leafy Richmond, London. What it’s like: Like yoga, Pilates is a classic in the workout world. Compared to the likes of HIIT, Barre and Zumba, it’s an old-timer, ideal for those unable or unwilling to leap about on crumbling joints or trying to train limbs into some whirlwind routine. After many years of falling off spin bicycles, willing my fingertips to reach my toes in yoga and stepping on people’s toes in dance class, I figured it was time. 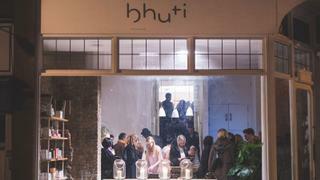 Bhuti spreads from a bright shop away from the hustle and bustle of Richmond into low lit corridors, with cosy lounges and treatment rooms sprouting off to each side. Beautiful and rustic, it’s the perfect little haven in which to relax and unwind. I’m met by Pilates trainer Claudia Fischer, who asks me in depth about my ever-growing list of physical niggles. Her class is as much an anatomy lesson as a workout. While clutching a rubber ball between my knees as if my life depended on it, she draws attention to the shape of my spine, the positioning of my shoulders (regularly under my ears, which is not ideal), the shape of my feet on the mat and my breathing, which often ceased without my knowledge. With expert guidance, Claudia explained the necessity of having a neutral spine when exercising and how an incorrect posture during a workout can do much more harm than good to your body. Simultaneously, my core muscles are on fire as I left no more than my head and shoulders on the floor – she assures me that, despite the trembling, a strong core will help support my back. From roll downs to leg circles and criss crosses to “the Hundred”, the class wasn’t challenging, but it was exactly what I needed. Rather than feeling broken and exhausted, I felt pleasantly sore and revitalised, with a spring in my step and feeling significantly taller than when I walked in. While it won't leave you collapsed in a sweaty heap on the floor, it will work your core to its limit and give you a better awareness of your body. Visit bhuti.co to book a session and apply for membership.